This 4th of July we had friends over, played yard games (dubbed the 1st annual Swanson yard game olympics), grilled (read: grazed on food allllllll day) and drank. It was such a fun day! Combine everything above except the club soda into a pitcher and refrigerate for at least 6 hours (overnight would be fine). 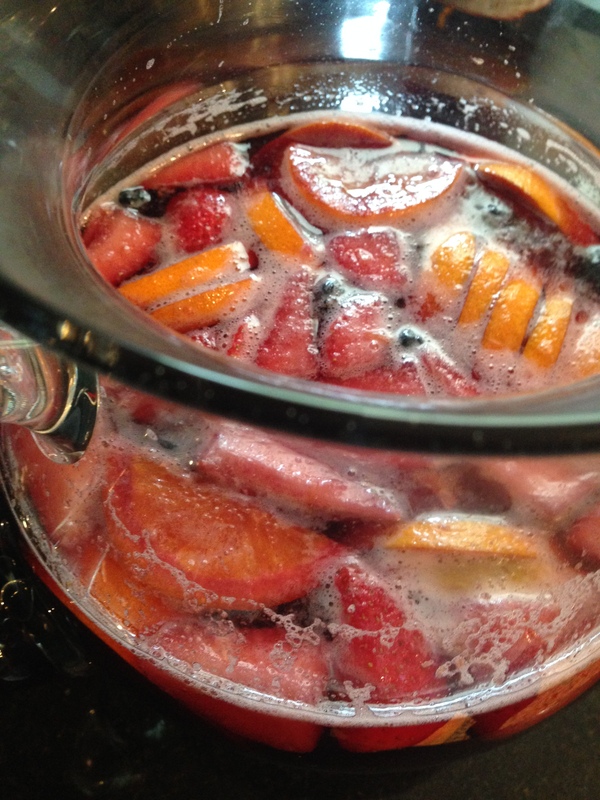 When ready to enjoy, pour into a sangria pitcher and add 4 (mini) 10 oz bottles of club soda. My family recently wine tasted at Carlos Creek Winery in Minnesota, so I picked up a bottle of their raspberry road for this recipe, but I think any fruitier flavored wine would work. [Disclaimer: I almost added some raw honey, but decided before I did to let the fruit sit in the wine and see how it tasted = result, no honey needed]. 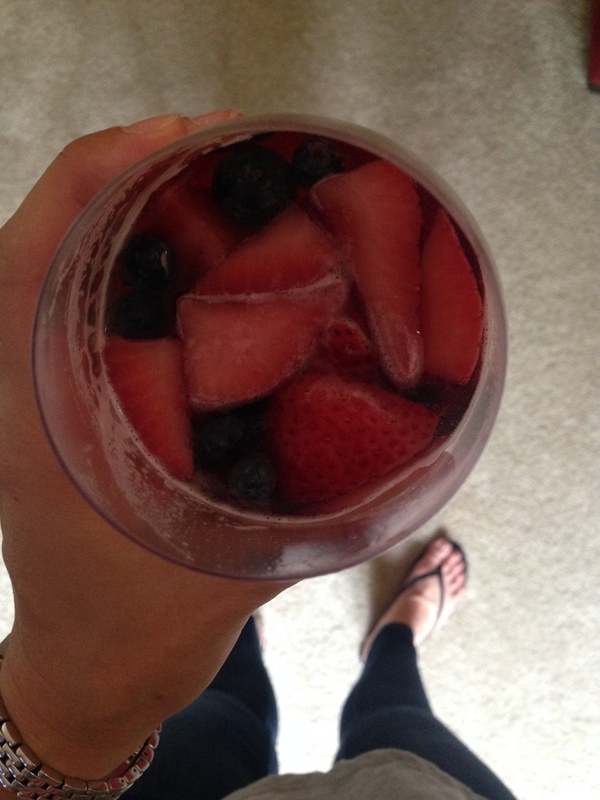 This entry was posted in Beverages, Recipes and tagged 4th of July, Drinking, Eating, Friendship, Paleo-friendly, Sangria, Summer by livinglikelinds. Bookmark the permalink. 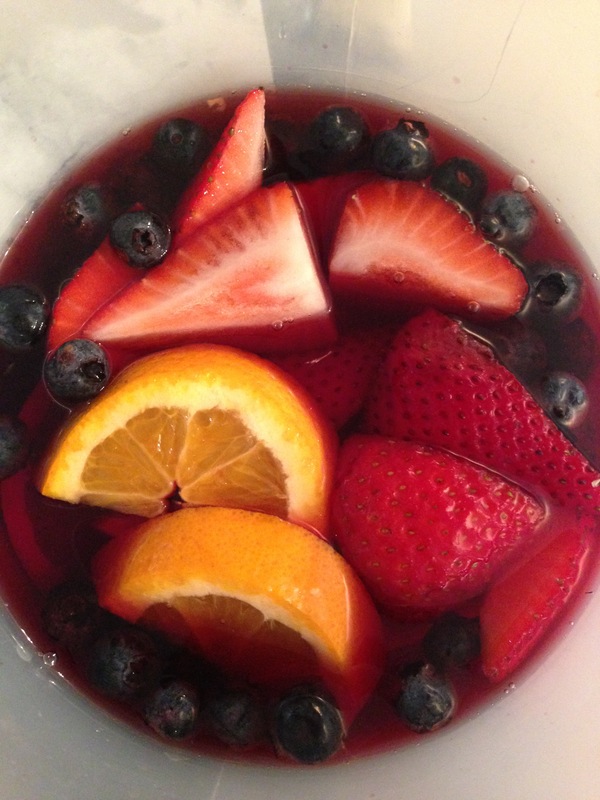 Sangria has always been one of my most beloved beverages! Linds, I had two questions about this recipe. First, what kind of wine is Raspberry Road, apart from being sweet? Also how long did you let your fruit sit in the wine to allow the sugars to be fully absorbed? I’m excited to serve this at our next grilling get-together! Hi Seema! The Raspberry Road wine is from a winery called Carlos Creek, local in Minnesota. If you aren’t able to find it where you are located, you could probably substitute some sort of fruit wine. It wasn’t terribly sweet, but sweeter than a dry red (like cab/vin for sure). I let the fruit set in the wine for about 7-8 hours in the fridge! Had a great subtle berry flavor! !